(NaturalNews) Young girls who frequently consume sugary drinks such as soda and other drinks with added sugar tend to start their menstrual cycles earlier than those who don't, according to new research that was published in late January in Human Reproduction, one of the world's leading reproductive medicine journals. While earlier reports have connected obesity and sugary drinks, this latest bit of research is the first to examine the link between consuming sugar-sweetened drinks and the early onset of menstruation in young girls, a phenomenon that increases the risk for breast cancer later on in life. Young girls who drank more than 1.5 servings of sugar-sweetened drinks per day began their menstrual cycle an average of nearly three months earlier than girls who consumed two or fewer sugary drinks per week, according to researchers. In order to obtain their results, scientists followed approximately 5,500 girls, aged 9-14 years old between 1996 and 2001. At the time of the study, none of the girls had started their periods, but by the end of the study all but 3%, or 159, had started menstruation. The participants were given questionnaires that queried about the girls' diets throughout the study, including what type and the amount of sugary drinks the young ladies were consuming. Scientists documented consumption of cans or glasses of soda (soda being carbonated drinks such as colas), glasses of non-carbonated fruit drinks like lemonade and punch, and glasses or bottles of sweetened ice tea -- all of which contain added sugar including sucrose, glucose or high fructose corn syrup. Researchers also investigated diet sodas and fruit juice to assess the impact of artificially or naturally sweetened drinks. 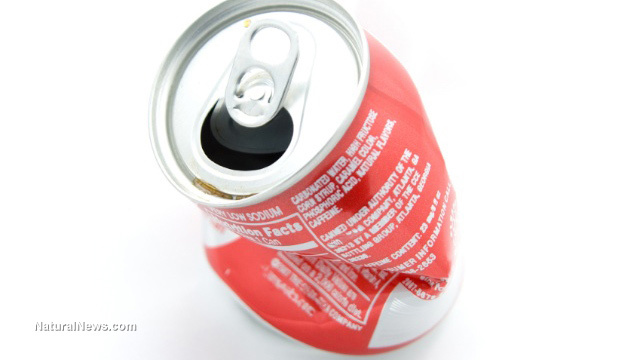 No link was found between diet soda or fruit juice consumption and early menstruation. "However, at any age between nine and 18.5 years, girls who reported consuming more than 1.5 servings of sugar-sweetened drinks a day were, on average, 24% more likely to start their first period in the next month relative to girls consuming two or fewer servings a week," according to a press release from the European Society of Human Reproduction and Embryology. Interestingly, researchers found that the effect of sugary drink consumption on early menstruation was independent of other lifestyle factors including body mass index (BMI), height, total food intake and physical activity. The findings are important due to childhood obesity becoming more and more prevalent in a number of developed countries, but also because beginning periods earlier has been linked to an increased risk of breast cancer later in life. "Our study adds to increasing concern about the wide-spread consumption of sugar-sweetened drinks among children and adolescents in the USA and elsewhere," said Karin Michels, ScD, PhD, the study's lead researcher who is also an associate professor at Harvard Medical School. "The main concern is about childhood obesity, but our study suggests that age of first menstruation (menarche) occurred earlier, independently of body mass index, among girls with the highest consumption of drinks sweetened with added sugar," she added. When girls get their period one year earlier than they're supposed to, their risk of breast cancer increases by 5%; however, reaching menstruation about 3 months earlier likely has a "modest impact" on breast cancer risk. But researchers note that many young girls are likely drinking more than 1.5 servings per day of sugary drinks in other populations, which would create "[a]n even more dramatic decrease in age at menarche.... Most importantly, the public health significance of SSB [sugar-sweetened beverages] consumption at age at menarche, and possibly breast cancer, should not be over-looked, since, unlike most other predictors of menarche, SSB consumption can be modified," explained Michels.